Our paper published in the "Journal of Cleaner Production" where we discuss the possibility of using renewable electric energy to power all the phases of the agricultural process. For a copy of this paper, send a message to ugo.bardi(whirlywhirl)unifi.it. You know that when energy in agriculture is discussed, the paradigm is energy production in the form of biofuels. But the idea of biofuels manufactured from agricultural products is monumentally wrong. Modern food production depends nearly completely on fossil fuels: agriculture is a consumer of energy, not a producer. So, can we eliminate fossil fuels in agriculture without having to go back to the back-breaking practices of the past? Myself and some colleagues started asking this question already some years ago and that led us to study the idea of using renewable energy (NOT intended as biofuels) to power agricultural machinery. We noted that modern renewable technologies (mainly wind and solar) produce electricity as output and that transforming electric power into fuels is expensive and inefficient. So, the idea we developed was to use directly electricity to power agriculture. 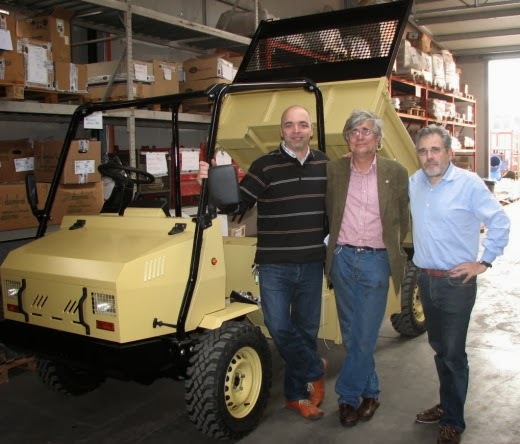 The result was the "Ramses project" that led us to develop a prototype agricultural vehicle that wasn't just a tractor, but a multipurpose vehicle for a variety of tasks, including energy storage (in the foto below, from left to right, Toufic El Asmar, Paolo Pasquini, and Ugo Bardi). The Ramses vehicle was a success as a prototype, and it has been used in various farm activity for a few years, first in Lebanon and now in Italy. It taught us several things; one is that, making the appropriate calculations, today, electric mechanization in agriculture is still marginally more expensive than conventional, fossil fuel based, engines. Because of this marginally higher costs, farmers still use conventional engines and the Ramses is still just a prototype. But things are gradually changing and, eventually, because of both depletion oan climate change, we will have to "wean" agriculture away from fossil fuels. This idea led us to a more comprehensive examination of the agricultural process. If the Ramses demonstrated that we can use electric power for many tasks that require mechanical energy, it is also true that agriculture needs much more: it needs fertilizers, pesticides, transportation, refrigeration, and more. Can we perform all those tasks using the electric energy produced by renewable sources? That is what our recent paper on the "Journal of Cleaner Production" discusses (authors U. Bardi. 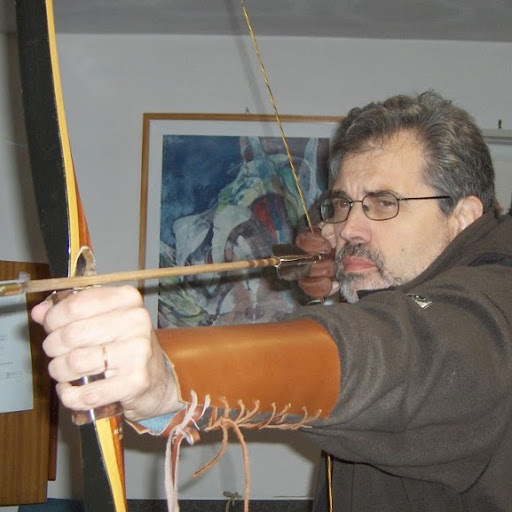 T. El Asmar and A. Lavacchi, vol. 19, pp. 2034-2048 - 203). It is an extended examination on how energy is used in agriculture and how, in the future, we could obtain this energy from renewable sources, moving away from fossil fuels while at the same time maintaining the high productivity of modern agriculture. The results? As you can imagine, it will not be an easy task; but it is not an impossible one, either. As modern renewables (wind and solar) increase in efficiency and come at lower costs, it is perfectly possible to think of integrating them with the agricultural process, first reducing and then fully eliminating the need of locally using fossil fuels. So, the end result of our study is that modern renewable energy can be a tremendous help to agriculture, but not for the wasteful and unsustainable agriculture of today. It is possible to turn electricity into food and we don't need to go back to the back-breaking practices of old. But we need to imagine and build an agriculture that doesn't destroy the resources it uses. Very interesting stuff. I'm really liking some of the thinking that's going into agricultural transformation. Random recent link: this blue-sky bit of work on "agricultural printing" suggests the beguiling possibility of designed mixed crops achieving a range of agricultural goals without the need for the massive amount of human labour that would usually be involved, opening up a whole range of new eco-agricultural possibilities (while also, of course, moving towards radically changing the role of the agricultural worker). that sounds more like 'pie in the sky' dan. Disagree. The geography of power production means there are a lot of viable options for rural electricity production that might not work over longer distances. It's definitely something worth investigating. Note also this little example: rural transport is absolutely essential to avoid people being cut off. Rural poverty is already a severe problem, it would be good not to make it worse. Electrification is clearly one option. I have been reading your blog for about a year or so, ever since you did the collapse calculations for Dimitry Orlov. I would like to ask you to write about the practicality and possible uses of thorium reactors for power generation. As this request is "off topic" for this post on electric power in agriculture except for a recent post (elsewhere) saying that 8 grams of thorium would power an automobile for 100 years. Also a search of Google News surfaced an article where a Nobel winning physicist said that thorium was the best fuel available for development. Not off topics, John. Nuclear energy produces the same kind of energy that comes from renewables and it could power agriculture just as well. My modest opinion is that nuclear energy could be a good option for the future, the only problem is that all reactors should be operated by Bonobos - humans are too stupid and too dangerous. About thorium, what I know is that we can't use it as such because it is not fissile. And so we must "fertilize" it, transforming it into fertile U(233), which is complex and expensive. Not that it couldn't be done, but the fact that it was never done makes me think that it is not so easy. But I don't have sufficient expertise to go in depth into the matter. But I also see that thorium comes up more and more frequently in the discussion - I must say that I take it as a sign of increasing desperation. But I might ask to someone more expert than me to write something on this matter.... actually, I'll do it right away. Thanks for the suggestion! Thats the most useful I encountered in the last 4 years on Thorium reactors. Unfortunatly there is not much discussion in the "Peak-Oil" Blogosphere on this subject. It would be lovely if it didn't need a fossil fuel infrastructure to make all the parts and to make all the parts for making all the parts. Solar and wind energy capturing devices as well as nuclear are not alternative energy sources. They are extensions of the fossil fuel supply system. There is an illusion of looking at the trees and not the forest in the “Renewable” energy world. Not seeing the systems, machineries, fossil fuel uses and environmental degradation that create the devices to capture the sun, wind and biofuels allows myopia and false claims of renewable, clean, green and sustainable. Energy Return on Energy Invested (ERoEI) is only a part of the equation. There is a massive infrastructure of mining, processing, manufacturing, fabricating, installation, transportation and the associated environmental assaults. Each of these processes and machines may only add a miniscule amount of energy to the final component of solar or wind devices yet the devices cannot arise without them. There would be no devices with out this infrastructure. i agree. the idea that agriculture can be run on non fossil fuel electricity is a pipe dream. quite simply, entropy means any complex machinery will grind down without inputs from the external battery of power we call fossil fuel (and the industrial complex run on it). the energy you generate from flows won't be anywhere enough to do work, ie plough, fertilize, reap, process and distribute food (to many distant locations) AND power the construction /repair of its own machinery. "Solar and wind energy capturing devices as well as nuclear are not alternative energy sources. They are extensions of the fossil fuel supply system." Seed of truth, missing the point. If all energy sources needed fossil fuels as their foundation, how did fossil fuels get going? It wasn't by magic. The kind of dynamic you're discussing is modelled e.g. with input-output models that can include fossil fuels inputs to investigate transitioning *from* fossil fuel inputs. Such analyses show that any green transition needs a big bump in initial output if it's to happen rapidly - so you're right there. But I doubt it's true that you need fossil fuels to sustain the resulting system. It will likely lead to a restructuring (of some unknown scale) as the current morphology of the economy is built on moving fossil fuels around. I can imagine a future where industrial clusters develop near things like hydro power stations to save transmission costs. Dan - ancient chinese wells use bamboo for pipes. I think the Drake well used steam from coal and was originally looking for water. I have researched this for years. I find no credible actual demonstration of a renewable actually reproducing itself. Even the paper and pencil estimates are suspect and on the order of fantasy. I lived off the grid for 30 years with solar panels and wind. At no time was I disconnected from the fossil fuel supply system or infrastructure. It was an illusion. I am developing an orchard/garden for picking your own, sale of produce and value added products like vinegar. At 70 years old, I am developing this for the next generations. It would be lovely if they have the tools I have. I don't think so. Copper motors alone require mined, pure copper that use huge machines and massive refining processes. Yes, they have used copper for millennium. Much was found easily. Then there were mines as in South America. Will you do the digging? I don't believe you actually looked at the sites I suggested. Plants have been mining metals from the earth's crust for 300 million years and they never ran out of anything. Waste little, reuse a lot, get energy from the sun; that's the trick. I am sure we can do that, too. John: sorry, no, I hadn't. I have now. All great stuff. I've heard the same arguments, most prominently from John Michael Greer. So I'm not disagreeing about that tangle. I'm also not disagreeing that it's an issue - and having studied it for a while, I don't think anyone has a full answer, precisely because it's so complex. But I do believe it's possible to investigate the issue using numbers. I note your dismissal of "paper and pencil estimates" as "suspect". Should we rely on your gut instinct instead? I prefer actual models and data myself, rather than paper and pencil - are you as skeptical about that too? We need some planning/numbers to forecast if we do need a "descent plan" - again, I agree that's very possible. I do not agree that implies the extreme outcome is the likely one. If all fossil fuels turned to pixie dust tomorrow, there'd be pandemonium for a good while - but presuming the knowledge was kept, we could bootstrap a civilisation on our current know-how without fossil fuels. It would be slow - we would be better using our remaining carbon budget to help get us there, while avoiding exactly the trap you're describing of locking us into needing them. Not easy. But then, nothing in the next 50 years is looking easy, is it? Actually, it was a smelting site I was thinking of when I suggested new industrial clusters might develop around hydro - the Manapouri power station in New Zealand. Only that one because I've visited it. But that's a very direct bit of economic geography in action: siting the power source right there for the smelting. That same dynamic will play out on a larger scale and places will change their shape as a result. (One reason why the transition movement is going to face difficulties - they assume our current given settlement pattern). I'd be interested in doing more detailed work on the fossil fuel inputs into something like Manapouri. It's a primary material creator. Again, there's a material web involved and, of course, at the moment, that web is very oily. I think we can get distracted by the complexity of webs and forget how quickly they can change. Think about the world wide web and what we're doing right now. And here's the thing - if you're right, it doesn't end well for anyone like you and John Michael Greer betting on developing self-sufficiency. In the collapse world you're both describing, anyone successfully having created their own self-sufficient but isolated bubble is going to have to deal with a pretty huge horde of desperate people wanting a chunk of it. This needs solving collectively or it won't get solved at all. Dan - I don't think I am relying on gut instinct but physical evidence on how things are done. How many hydro sites are near ore sources (of all kinds) for them to be used. I understand your hope. I know we are in overshoot only allowed because of fossil fuel use. It is not a wish to be right. I have had a glorious life and would wish it for you and others. Part of the below was written in the late 90s, I think for the old RunningOnEmpty mailing list. I have been aware of the “end” since 1968. Doesn’t make it any easier. The part of the below was written in the late 90s, I think for the old RunningOnEmpty mailing list. I have been aware of the “end” since 1968. Doesn’t make it any easier. Do lemmings grieve? Do they deny the cliff? Do they bargain with silicon chips or with the god of technological progress? Do they fall into the hole in their heart counting the ways to die, the percentages, the exact time? Do they rant in the face of their helplessness? I grieve. My grief is for my species. My grief is for the glory of our achievements, our soaring. My grief is for my way of life. My grief is for the next ones. And the inevitability of it all. And the spiral/cyclical nature of it all. And my grief is deeper now. Perhaps informed by my age and the bone deep sense of my own leaving. (I am a 11 year cancer survivor and just had another stent put in). I also believe it needs solving collectively. It is not physical technology that must be addressed but human culture and society. I am a retired psychologist with a degree also in anthropology. It will not be easy. There are five natural factors that determine and will continue to determine our history and future. All life reproduces to the maximum their environment allows (population density). All life will use all the resources in its environment to promote its present living (population pressure). Much of life manifest an us against them protectionism (even plants release poisons to the soil to protect their territory. We are immersed in an environment of our own making and our "brilliance" threatens us with unintended consequences (whether agriculture or nuclear power). Groups larger than our million year evolved social environment of small bands create power-over and inequality. Dan - I wish you luck. I don't suppose the Ramses vehicle design is open-source, but some specifications would be nice. An open-source design that could be built from off-the-shelf parts and maintained locally is something I'm interested in promoting. I think sears sold a small electric tractor in the 1970's, many are still in use by hobbyists who have open sourced implements for it. IIRC, Sears sold a re-branded model of the GE Elec-Trak which still has quite a cult following. Wikipedia has an article. 36 VDC in various HP models, and numerous electric powered attachments. "we could obtain this energy from renewable sources, moving away from fossil fuels while at the same time maintaining the high productivity of modern agriculture." 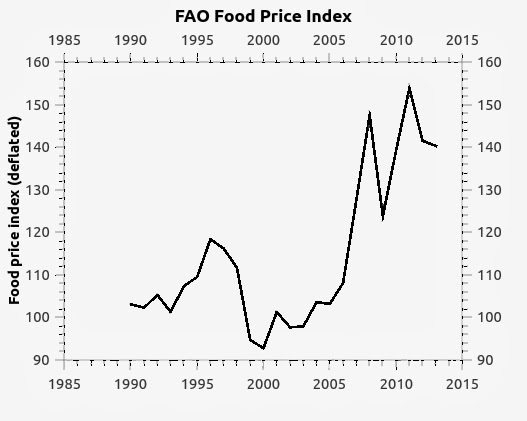 So-called modern agriculture is not so modern and has not so high productivity. Moreover, it leads to topsoil loss, destroys ecosystems, and produces dead zones in oceans and lakes. "agriculture needs much more: it needs fertilizers, pesticides,..."
Truly modern agriculture needs little or no fertilizer and no pesticides. So-called modern agriculture contributes about 11% of CO2 emissions without counting fossil fuels burned in farm machinery. Electrifying farm machinery still leaves 11% CO2 emissions, topsoil loss, ecosystem destruction and biodiversity reduction, nitrate and phosphate nutrient cycle disruptions, and distributes toxins into the environment. Truly modern agriculture sequesters CO2 (thus off-setting CO2 emissions), improves and produces topsoil, increases biodiversity and maintains resilient ecosystems, and doesn't require artificial fertilizers or pesticides. Except for grossly misrepresenting the agriculture of late-19th and early-20th century as "modern," this is a very good article. Ugo, greetings! When I referred to agricultural productivity I primarily had in mind total useful harvest per unit of land (acre, hectare,...) and secondarily per total inputs (direct energy whether from humans, fossil fuels, wind, water, or solar; material substances such as nitrates and phosphates; "irreversible" loss of biodiversity; etc.). It seems to me that "modern" agriculture (industrialized monocropping of annuals and confined animal feeding operations in particular) and losers in both ways of looking at it. 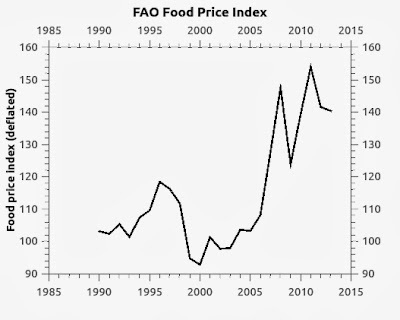 The "profitability" of "modern" agriculture in based on mythical "free cheese." Fossil fuels are "free" for the taking (there are cost involved in finding and taking and distributing, but the fuel itself is "free cheese"). Ecosystems can be destroyed and topsoil can be destroyed for "free" (there may be costs associated with the destruction process, but the value of what is destroyed is "zero"). Yes, but right now a lot of the focus seems to be on how to transition at least in part from petroleum and coal to natural gas. Here is a recent interesting article about a new 12 liter 400 horsepower truck engine that runs on natural gas. As you can see it appeared on “Seeking Alpha” precisely because some people think they can make some (or lots) of money out of it. And of course is does NOT solve the upcoming problems of fossil fuels for / in agriculture that you are wishing to address. This second article comparing Tesla Motors and a company called Clean Energy Fuels (natural gas fuels) is also interesting. Folks may be interested to read about an upcoming conference looking at rethinking agricultural systems in the UK. I'm particularly curious about Matthew Smith's session on computational ecology. John: "I don't think I am relying on gut instinct but physical evidence on how things are done." John, just wanted to say - you were very tolerant of me being quite rude. "I dismiss all of your actual practical experience and demand you instead trust mathematical models!" Sorry. Dan - I never felt you were being rude. I think all here are trying to find a way into or out of the multiple convergence of so many conundrums. Mathematical models are an important component either the intuitive kind or the paper kind. They simply have to work in the reality we are given. I'm in WA state and here we need a new NASA. A National Agricultural and Sustainability Administration. As another commenter suggested if all fossil fuels became pixie dust tomorrow pandemonium would result. I'll add quick starvation and death to that scenario. On the other hand if a concerted effort were made to develop electric replacements for fossil fuelled vehicles combined with biochar and other sustainable practices an infrastructure can be developed and put in place to ease the pain of the fossil fuel drain. The problem is status-quo politics and status-quo economics won't allow any such intelligent transformation. A movement to demand a liveable future must emerge. Those capable must educate and lead and it must happen now. last year you sent Elsevier a note saying that you'd not review or publish for them until the financial model was changed. Did you achieve any success? Or was the battle utterly lost? In time, they'll be history. I'm not sure that they will be history. 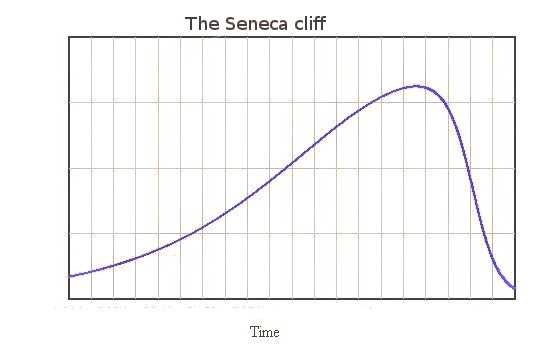 The situation strikes me as being analogous to the "tragedy of the commons" or specifically in the energy space, "the efficiency gap", both caused by split incentives (see for example, "Mind the Gap" from the IEA). Let's assume that the open source model with the new Frontiers review model brings substantial benefits for research and society. One would think that this fact alone will rapidly produce a dramatic shift in authors' preference for where they submit their work. However, the authors now carry the cost of publication, and so the split incentive is that the person who pays the money (i.e. the author) has a benefit, but only in the long term and only indirectly (by way of an improved research space). That's a big risk. I published 4 journal papers this year ( 2 Elsevier, 1 Springer and 1 ASME). If I placed these in a Frontiers journal that would have cost me nearly €4,000. That covers the annual cost of one of the software tools that I use. Maybe in time a new model of publishing will emerge, but in the meantime, most of us (including you as seen here) will continue to publish in the more traditional journals. Incidentally, I'm just as guilty here: I have published in open source (Hindawi) and been impressed with the rigour and speed of processing, but I still put most of my work in mainstream journals. We are all guilt. In this case, I was not the only author of the paper, so it was a collective decision that of submitting to an Elsevier journal. But there are several reasons pushing toward the new model of publishing; it will take a while; though. Ugo - Glad to see you are onto what I consider the most important scientific topic of our times: energy use in agriculture. However, there are several theoretical flaws in your post. First of all, agriculture is not necessarily unpleasant and back-breaking. My people have been farmers in every generation for at least the last 400 years, as far back as I can trace in Norway, and there are pluses and minuses. My dad keeled over from a heart attack at age 53 while cleaning barns, but it was due more to his genetic load, high cholesterol intake, and smoking than because of the work involved. I still enjoy farming at the age of 63 using minimal fossil fuels and plentiful manual labor. It is not the amount of labor involved, but rather management of your own labor that counts. I produce 10,000 pounds of food with an energy value of 2.6 million kilocalories on an acre of land or less every year, and I accomplish this with 10 gallons of gas and about the same amount of energy I spend on other tasks. Growing food is based on moving from task to task, rather than grunting and straining. The grunting and straining is a function of wage slavery, not the actual food growing. Secondly, your claim that farming by hand is not efficient is far from the truth. The human body is the most efficient engine we have. Bipedalism is what enables us to get more work done on less fuel than horses or oxen or any quadruped. The efficient, dexterous hand gives us an added edge, while the efficient human brain (high caloric input but extremely high output) and culture allow us to extract energy from the environment and buffer ourselves from the same environment. You don't have to believe me - just ask any other biological anthropologist. What drives this process even faster and further is that the human organism can grow its own fuel. This is positive feedback writ large. By the way, my EROI is 3.5:1 and I am shooting for 5:1 in my research program. Thirdly, your use of electricity, by your own admission, is not cost effective yet. I suggest to you that it never will be. As a general rule, the further you are from the "point of flame," the less efficient the energy transfer and the greater the entropy. It would be better to use the fuel to do the work than use the fuel to generate electricity and then transmit it over a grid to power another engine to do the work. Also, it is not wise to forget that the electrical grid is a function of fossil fuels, and it is unlikely better management will do anything more than wring smaller and smaller efficiencies out of a system that is set up to be wasteful of fossil fuels in the first place. The only way out of this conundrum is either to pay more for your food so farmers like myself can make a living, or grow it yourself. This will require massive lifestyle changes. Some of us have already made the shift to a lifestyle considerably reduced in consumer goods and fancy accoutrements. As I say in my book, "Even the most liberal-minded socialists have to be dragged, kicking and screaming, into any future scenario where the farmer makes as much money as a corporate manager or college professor." By the way, I have addressed many of your issues at some length in my book, "The Laws of Physics Are On My Side" (2013). You might want to check it out. It is available on Amazon as a softcover or in a Kindle version. first of all, thanks for your comments. Then, I am sorry that I have to disagree on most of your points! That doesn't mean I don't sympathize with your position, but I am afraid that the world will not go in the direction you propose. To start, a technical comment: when you say "being far away from the point of flame" you are still within the fuel paradigm. This is exactly the paradigm shift that we try to propose with our RAMSES system. It is strictly a no-fuel system. It taps its energy directly from the sun (not for nothing, Ramses is the Egyptian Sun God). So, it bypasses all the laborious chain that goes from fuel to mechanical power. It is extremely efficient. Solar-electric systems can be much more efficient than solar-photosynthetic system. What we are actually proposing is a new metabolism - something unseen on this planet for the past 4 billion years! But that's not the main point. I think that most of my friends who are very much into permaculture and the like are technically right, but politically unrealistic. You don't really have to break your back to produce enough food for yourself and your family. What breaks your back is having to produce it for your feudal lord and his henchmen. And that's the way the world has been functioning for the past five thousand years; as they say: peasants ruled by brigands. And, unfortunately, it was specifically in the period when society was most based on agriculture that peasants were most oppressed, enslaved, and mistreated. 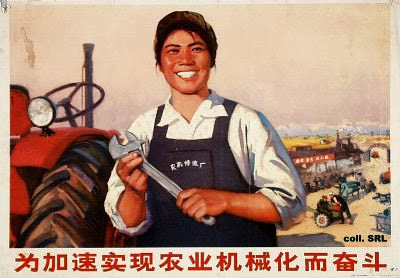 So, I do believe that we must supplement human labor with some kind of high efficiency source of power. And I believe that we have it: it is just that we don't want to invest on it. Of course, anyway, that's a very deep discussion that can't be summarized in the few lines of a comment of a blog. Your book looks very interesting, I'll see to get a copy. The battery was on board the vehicle. Wouldn't a better solution be to have the battery in shed on the farm and have a wire to power the vehicle. Like trams do. This way non of the power from the battery goes into moving the battery itself and more battery technologies are viable. Say heavier but cheaper. I know a mine did this at one point. Of course the wire would be a problem, I can think of several options but I'm not aware of a working system for a farm. Of course not all farms would be suited, but having different models is possible. The agricultural machineries have played a vital role in enhancing the agricultural standards of the country. The various agricultural processes can be boosted in the best manner with the help of agricultural machineries.